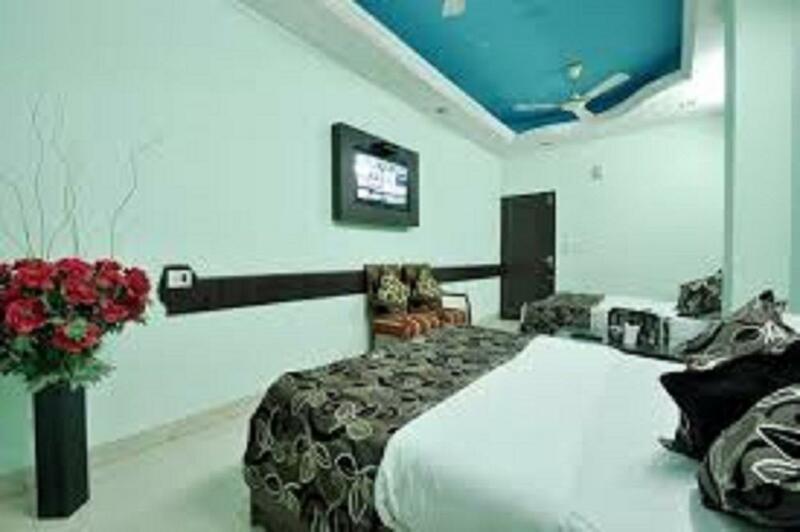 Helpful and friendly staff, close to train station and main bazaar, child friendly. They were very friendly and made us feel welcome. Stored our bags while we were sightseeing and checked us in hours earlier. They even allowed us to use a room downstairs while waiting for our train to arrive. Lift was pretty ancient but in a good way and gave the place character. The super saver offerered by your online site was not so great. Because, the Executive type of room was very small and the hotel now looks very old. But staff was very cooperative and helpful. The free breakfast offer is a farce, as not much benefit from it. However, the hotel is just Ok for a nights stay. hotel staff is very friendly and helped us with our bags and collecting parcels delivered in our name. i had spilled tea in the room and broken the crockery, but they politely cleaned it up and didnt charge anything extra for it. the room is a little congested, not much space to move around. also the ac is old fashioned and not very chilling. 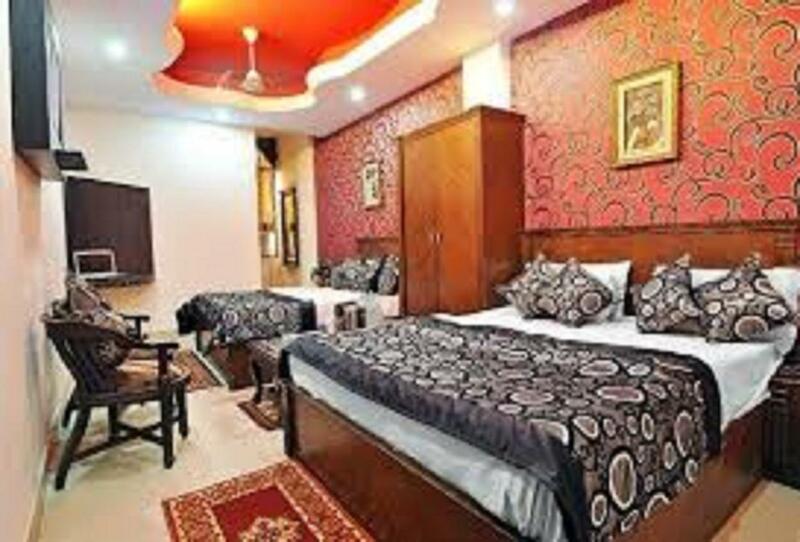 but overall, their warm hopitality and very economic rates plus the location being very close to railway station and important markets, i would suggest a definite try if you are in delhi for some work or shopping, and wont be spending much time in the hotel. i was very satisfied with the entire deal. A pretty good location and a good value for the price. For the price this was a pretty good place but the wireless Internet didn't work on floors 1 - 4(only worked in the lobby) for much of my stay. Also, the staff didn't speak English very well and a car that came to pick me up had to wait 30 min because they didn't tell me it was there. Also, the "free breakfast" was only up to 60 rupees, which they didn't explain beforehand. The location was good though and the price was really good. The staff barges into your room without your concent. The ceiling in the bathroom was decaying and drywall was falling everywhere. The room smelled rank of damn fresh paint and mold. Water wasn't really hot. Room wasn't really clean although we did peak in another room and it was in much better condition than the was reserved for us. The travel agent downstairs tried to rip us off for the HOHO bus. Constant construction and heavy machinery used during early morning hours which made it hard for us to get a peaceful night of rest. We paid for a room with wifi and it worked for 30 seconds...LITERALLY. What a joke. We came back to New Delhi a week later and staed down the street at The Ajanta - much better! bed bugs. very dirty plain classic room. The more expensive rooms were cleaner and no bed bugs. don't go with 3 stars and " INN' in Delhi,you will loss your money and peace. Apart from the giant tics (big for tics) and their swarms of baby tics with really sharp incisors. It was ok. Next night I spent in a transit hotel near the airport. If you want to spend less than rupees in Delhi I suggest you stick with a religious house or ashram. Not so good to stay in this hotel,please do not consider this hotel for family stay. one of the better budget stays close to the rail station. clean rooms, not too noisy, helpful staff. much better than the other places i stayed in the same area. Our stay was ok. The staff was very kind, but every Night the staff was running around, some phone played music and the staff at the rooftop was loud. The rooms doesnt have windows, so the street noise was Also very annoying. The wifi is only In the reception. Fine hotel but dont expect anything fancy. Located near great shopping bazar but noisiness and unclean room made this place a major disappointment. We had a gaping whole in the wall that was hidden behind a curtain and from which all the street noise (and insects) came through. Staff seemed unfazed by this information. 3 things are certain in life. Death, taxes and you get what you pay for. This hotel costs around $25 night. The actual room wasn't bad, but the washroom was something out of reality tv show about fix em ups. The ceiling was rotting, the window wouldn't shut because they had a pipe running out of it and you had to inform the hotel 20 minutes before you wanted hot water. My room backed onto the back alley which was very noisy. If you're a student who can do without a hot shower for a night - this place aint bad. Anyone else, just pay a bit extra, trust me it will be worth it. Hôtel bien trop excenté du centre ville. Patron sympa mais service qui laisse a désirer.